Jonas Salk changed the world. Inspired to rid civilization of polio, he used basic science to solve its mysteries and in the process helped alter the course of the 20th century along with the future of science, medicine and human health. Untold millions have benefited from his work. He frequently spoke about the responsibility to be a good ancestor. 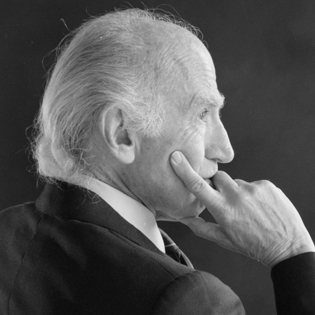 This concept is brought to life by those who choose to join the ranks of the Jonas Salk Circle, knowing that by their visionary commitment, they will enable the Salk Institute to respond to change, to leverage resources to the greatest extent possible, and to sustain excellence in perpetuity. appreciate that discoveries from basic research are the foundation of therapies and cures that impact human health far into the future. The Jonas Salk Circle — participants in the Campaign for Salk — are those who make a minimum commitment of Two Hundred Thousand Dollars ($200,000) per year for five years to total One Million Dollars ($1,000,000) designated to the unrestricted endowment of the Institute. This commitment will identify the donor as a member of a unique cohort of Salk supporters who understand the powerful potential of unrestricted endowment to attract and leverage significant grants from foundation and government sources. The Jonas Salk Circle will enjoy prominent recognition for their commitment on a special donor wall in the entry courtyard. More importantly, they will be considered as stakeholders in the future of the Institute; as such they will be invited to private meetings with senior Institute scientists to discuss the latest issues in research and will be privy to news of scientific discoveries at Salk before it is published. The Jonas Salk Circle will be invited to attend a biennial international gathering which will bring together Salk’s most prominent faculty and significant donors from around the world for three days of informal discussions regarding the future directions of science. Jonas Salk was driven by hope and by the certainty that rigorous science and human determination can cure any disease and improve all lives. The world has changed, and science has advanced. And at the Salk Institute, those values continue to inspire our science today.